Nigerian soul singer Asa is headlining the early show tonight (March 27) at Le Poisson Rouge, and I’ve just learned that SXSW buzz band BLK JKS have been confirmed as the openers for this show as well (bonus!). This is Asa’s last scheduled performance in America and BLK JKS don’t appear to have any upcoming US tour dates scheduled either*, so tonight might be your last chance (for the foreseeable future at least) to catch both of these interesting African artists. 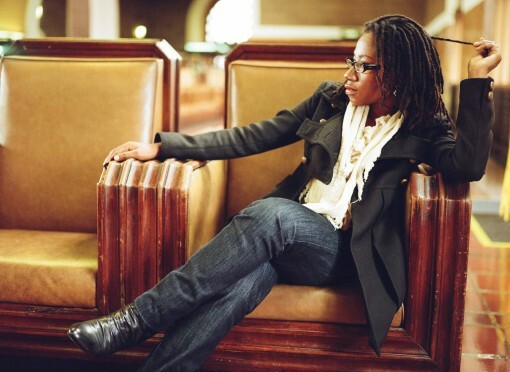 With reggae, soul, jazz and pop music as touchstones, Asa crafts protest music that calls not only for change in society as a whole, but for personal change. Featuring impeccable percussion, a funky Hammond organ, reggae-infused bass and contributions from celebrity flautist Magic Malik, Asa’s self titled debut album is an impressive collection of melodic songs. Track “Jailer,” is a standout- a song about the irony of oppression and “Fire In The Mountain” is perhaps one of the most candid and politically charged songs on the album- a reggae and folk infused metaphor for an ignorant and indifferent world commenting on the conflicts we neglect and the disparity on our doorstep that goes unnoticed. Check out the video for “Fire on the Mountain” after the jump. * I imagine this will change when the new full length BLK JKS album is released.